You may recall that I’ve mentioned my friend, Bev, before. She’s a few years younger than me, and we’ve known each other since she was in her teens. 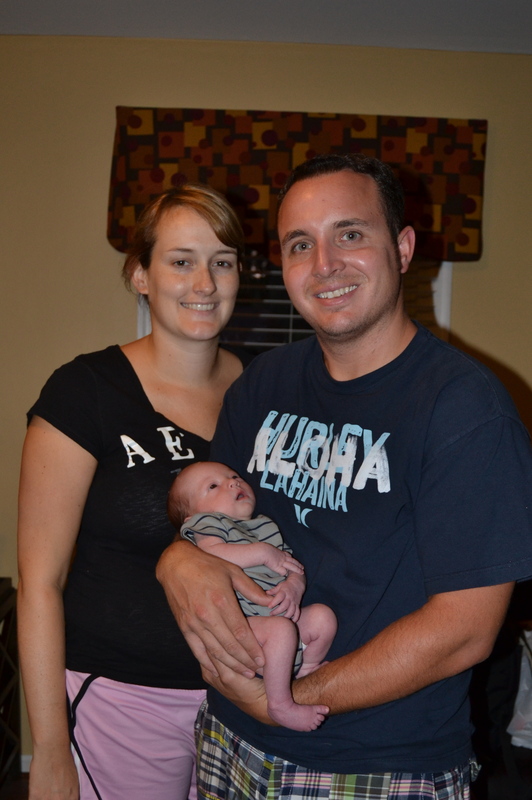 Last week, Lacey and Joe welcomed Baby Tanner into their world. 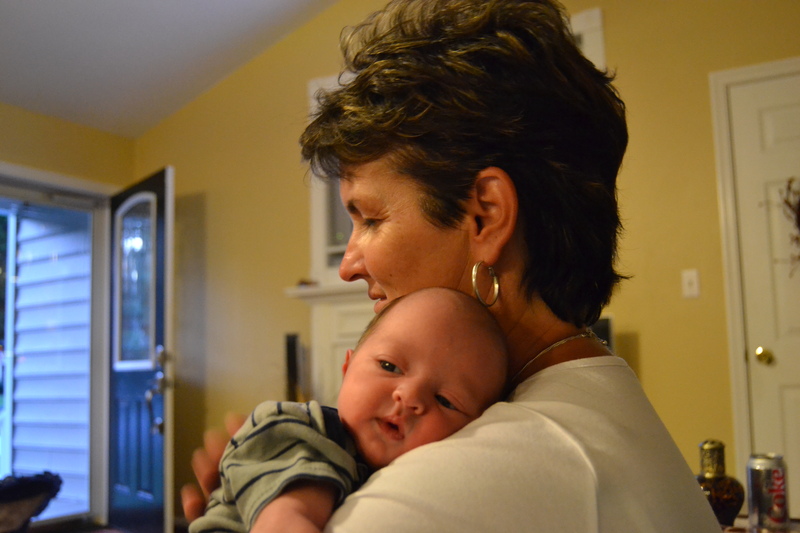 My friend, Bev, is now a grandmother. Last night, I met that sweet little fella. And I’m already looking forward to baby-sitting. You tend to forget how tiny newborns are. They seem especially so in Dad’s arms. I wish all babies could know this love. Welcome, Baby Tanner. Your Nana and I are ready to begin the spoiling. 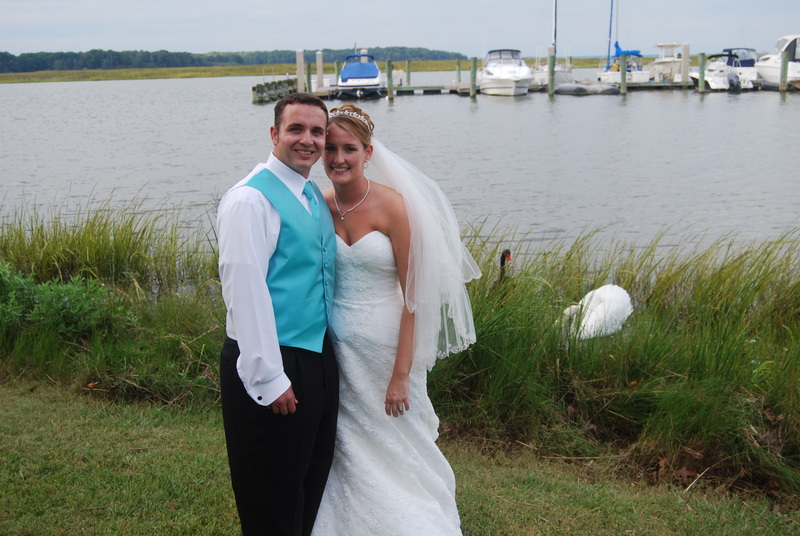 This entry was posted in Days at Home, Family, The Swans and tagged friendship, newborn. Bookmark the permalink. What a cutie! And how sweet to be able to see him when he is still so little…they grow up SO fast! He’s such a little doll….I know his parents, Bev AND you are all quite thrilled he’s finally here! That shot of him in his Daddy’s arms is precious. I’m thinking there will be plenty of spoiling opportunities for EVERYONE! Those of us with grown children know how fast those tiny ones grow!! Enjoy spoiling that little darling ! I know you will help Bev spoil him. Beautiful family. Awww Tanner is such a tiny Sweetie. Your photos are wonderful. Precious absolutely precious. That is such a touching post today! What an adorable baby Tanner is. And yes, he looks SO tiny, especially in Daddy’s strong arms! I think it is so exciting when a new generation is born… The world is his oyster! You know I loved this and can’t wait for our grandbaby to arrive in early September. 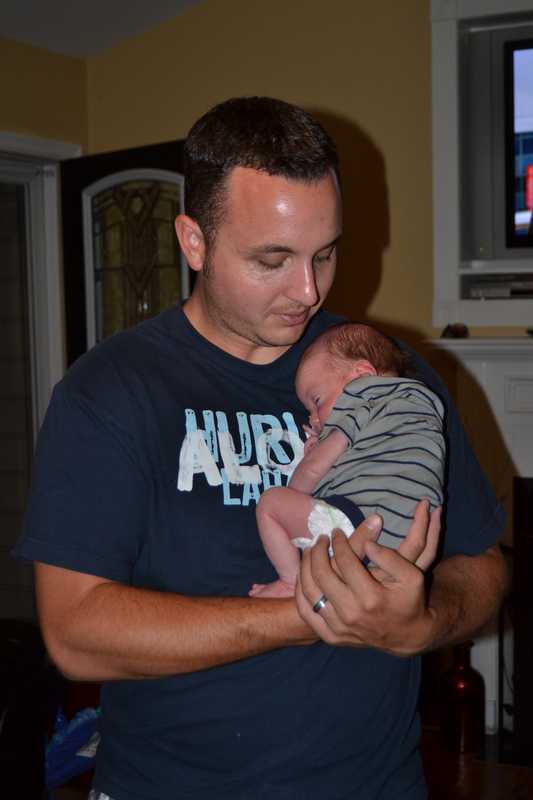 These are wonderful photos and such a precious chance to hold sweet Tanner. Now that’s a sweet story with a happy ending! that is really sweet. congrats to them! Awwww babies…. I love babies! Congratulations to your friend and to the mama and daddy. And how wonderful for YOU! So sweet! And you look very happy holding the little guy! It is wonderful to have so much love in his life. Congratulations to the family!! Another great set of pictures!! He’s as sweet as he can be. Congratulations to all! Congratulations to everyone! Dianna, you looked like a natural holding that baby! A new little life, what could be sweeter? I’m sure you and your new grandma friend will have so much fun spoiling that little fella. Isn’t it amazing how much we can love other people’s children like they were our own? So glad you’ve had that long friendship. I know what that’s like. He is just so adorable! !